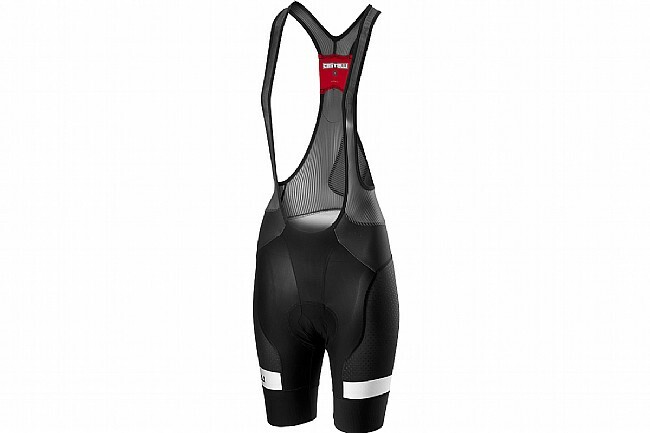 Castelli's Women's Free Aero Race 4 Bibshort features lie-flat raw-cut edge thigh grippers with vertical silicone stripes that stabilize without restricting stretch. The seams have been updated to improve fit and aesthetics. Stripe mesh lie-flat bib straps help keep things cool and comfortable. 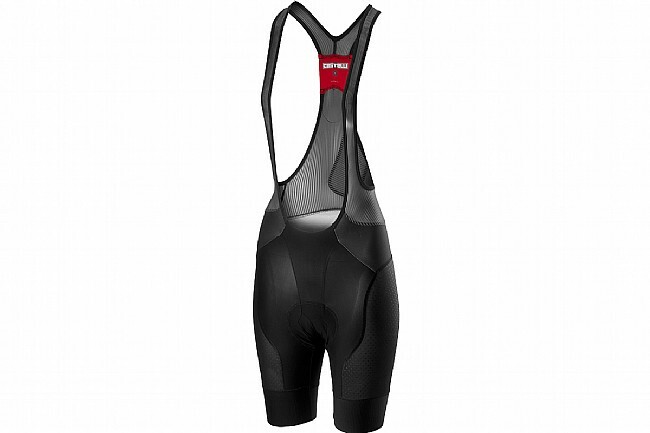 For plush comfort on the saddle, this bibshort is equipped with the women's-specific Progetto X2 Air Seamless seat pad. Forza fabric on inner legs with 38% Lycra®. Stripe mesh engineered lie-flat bib straps. Doppio V construction & Flat-lock stitching. Progetto X2 Air Seamless Donna women’s-specific seat pad.